It's tough to keep up with all the new products that show up in grocery stores: It's a little like we're all Lucy, and those chocolates just don't stop coming. To help you sort out what's worth putting in your cart, we reached out to Jason Stein, a senior grocery buyer for Whole Foods, to pick his favorite new foods that debuted in 2016. Stein is the guy who helps determine what lands on the shelves at the popular grocery chain -- he basically just tastes food all day, people -- so to call him an expert is an understatement. From spicy buffalo meat bars to creamy almond milk yogurts, here are Stein's nine favorite new products to hit Whole Foods this year. Almond milk isn't just for pouring into your coffee. 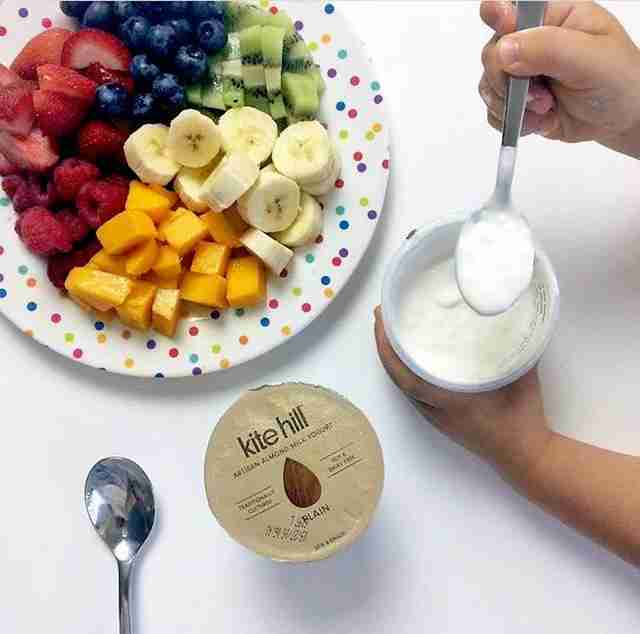 Kite Hill, a brand that's been killing it in the almond cream cheese space (yes, that is a real thing), is moving into yogurt. Kite Hill's new dairy-free yogurt is available in standard flavors like plain, vanilla, peach, blueberry, and strawberry, but it's also available in more unusual varieties like pineapple and Key lime. Whole Foods currently has an exclusive on these suckers, so don't try looking for these in your local supermarket. This is the second non-dairy yogurt on here, and that's because plenty of people want the convenience of a cup of yogurt without having to invite a cow to the party. Forager is a company known for its green juices, but this non-dairy yogurt is a game-changer, according to Stein, because of its texture. Many dairy-free yogurts are, umm, soupy garbage but Forager’s cashew yogurt is much thicker and creamier than most. 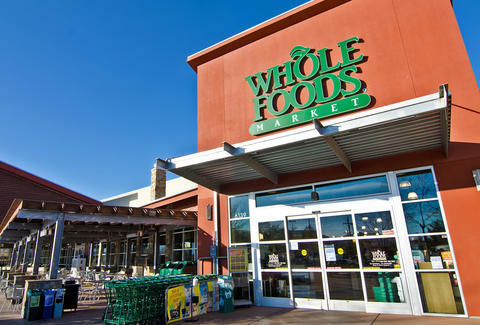 Whole Foods has some serious buying power with 400+ stores in the US, so it can team up with brands like Frontera (chef Rick Bayless' tortilla chip line) to create exclusive flavors just for its shoppers. These lime-flavored chips are made using organic, non-GMO heirloom corn from family farms in Oaxaca (say it five times fast, go! ), Mexico. Stein loves 'em because "the texture of the chips is light and flaky" and they really nail the citrus flavor. Someone pass the guac! You've likely never heard of the brand before, but we bet you've already had its brownies without even knowing it. Every pint of Ben & Jerry's Half Baked and Chocolate Fudge Brownie contains chunks of Greyston's addictive brownies. But this past year, Whole Foods debuted two new brownie flavors that Stein says he can’t stop eating -- vegan fudge and a snickerdoodle blondie. And just in case you needed another excuse to eat a brownie, the company is very invested in giving back to charitable organizations, which include after-school programs and community gardens. If you haven't browsed the snack-bar section of Whole Foods lately, you might not know that meat bars (essentially protein bars made with, well, meat) are the new-school Slim Jims. 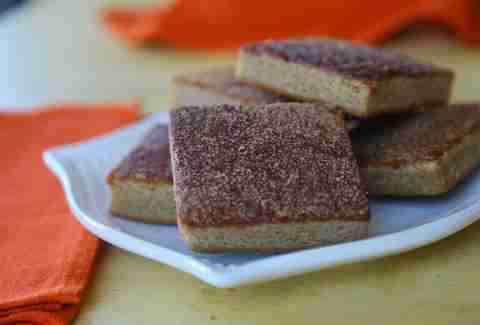 Stein says that the category of meat bars is popular, but that the Tanka ones in particular are a favorite. The company is owned by Lakota Indians and the bars are made with hormone-free American buffalo meat and dried cranberries. The flavors are unique as well -- Whole Foods currently stocks a jalapeño flavor and a coffee and Hatch chile bar.. The aisle of chocolate bars at Whole Foods is as crowded as an entrance to a Best Buy on Black Friday. But Taza is different from your average chocolate bar, Stein explained. The company uses Mexican stone mills to grind the cacao, which results in a "more gritty chocolate." Suffice it to say, it isn't like your average chocolate bar. Stein's favorite Taza flavor? The 84% Dark Haiti, made from 84% dark chocolate using organic cacao sourced from Haiti -- it won't be as sweet as your average chocolate bar, but it has notes of dried cherry and fig, which sounds like a win. These days, it seems like drink cases are stocked with cold brew as far as the eye can see. But this Califia Farms single-serving cold-brew coffee bottle swaps coconut cream for milk. It also includes 2mg of MCT oil (a fatty acid chain often found in coconut oil that's said to have health benefits, like improving digestion and your mood), which Stein said serve as a "vegan version of [the very trendy] Bulletproof coffee which is made with butter and coconut oil." Ideally, you'll get all the brain-boosting benefits of the butter-filled Bulletproof coffee without consuming all that dairy. When you think of the Paleo diet, you might think of steak and cauliflower rice served atop one of those boxes CrossFitters do jumps onto. But with the power of almond flour and ingredients like tapioca, cassava, and sunflower oil, Simple Mills has turned the traditional cracker into a cleaner, Paleo-friendly snack, Stein says. Currently, Whole Foods stocks flavors like Farmhouse Cheddar, Rosemary & Sea Salt, and Sun-dried Tomato & Basil. And this isn't the last you'll be seeing of Simple Mills in the store -- other, presumably almond-filled, Simple Mills products are slated to hit shelves next spring. In the boxed mac & cheese world, people generally think of Annie's as a healthier version of Kraft's gold-standard mac. So it's a big deal when a new version of Annie's mac hits shelves. This version features bee-shaped pasta, which tastes delicious and will be less painful than consuming actual bees. The cheese powder, which is made from certified organic dairy, is also a draw for shoppers -- but don't worry, it still has that bright-orange color everyone has come to love. Lee Breslouer is a senior writer for Thrillist, and digs that almond yogurt. Follow him to yogurt opinions @LeeBreslouer.